Imagine a day when your swing swings you higher than the highest treetops. Imagine a day when you can ride your bike up a path of falling leaves into the very tree they are falling from. Imagine a day when you release a handful of blue balloons into a cloudy, gray sky to create a postcard-perfect day. Imagine a day when the ordinary becomes the extraordinary...a day when anything is possible. 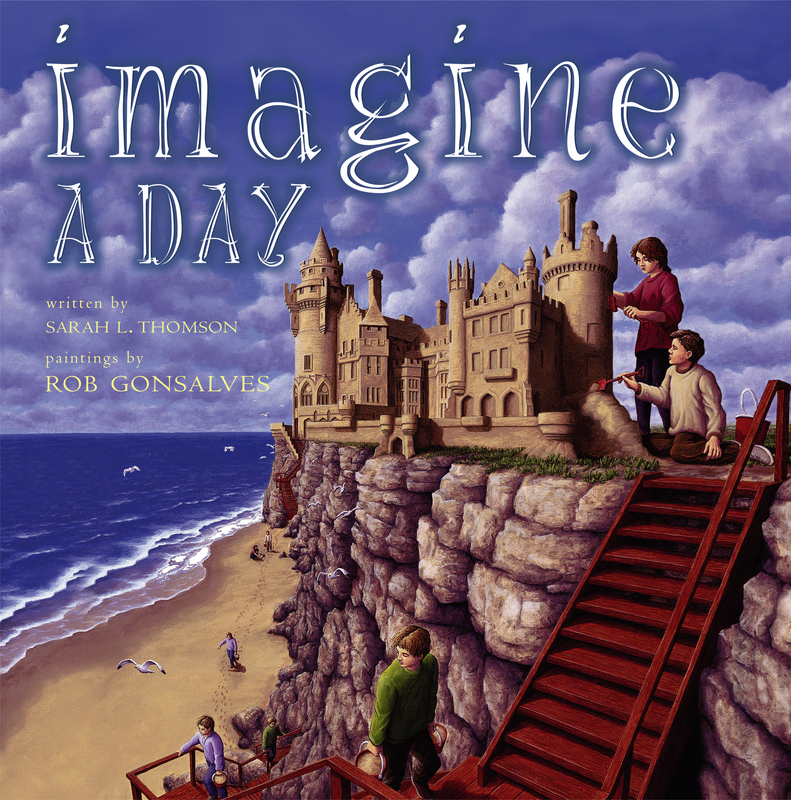 Imagine a Day is the companion book to the critically acclaimed Imagine a Night, which School Library Journal declared "a fascinating foray into the imagination." Renowned Canadian artist Rob Gonsalves once again stretches the limits of visual exploration with his breathtaking paintings and encourages parents and children alike to look beyond the limits of the everyday world and imagine. Sarah L. Thomson's other books include The Dragon's Son, which was named one of the best science fiction, fantasy, and horror books of 2001 by Voice of Youth Advocates; Stars and Stripes; and Imagine a Night. She lives in Maine.